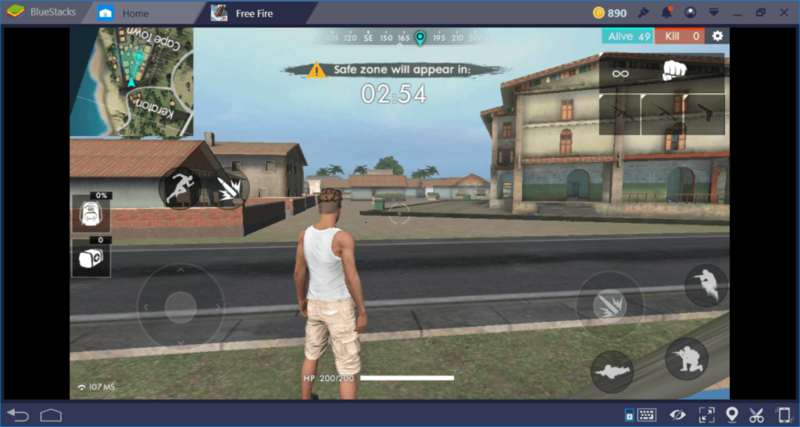 In Free Fire, landing in a good spot is of crucial importance: If you choose the right place to start the game, you will reach the loot faster and gain a great advantage over other players. 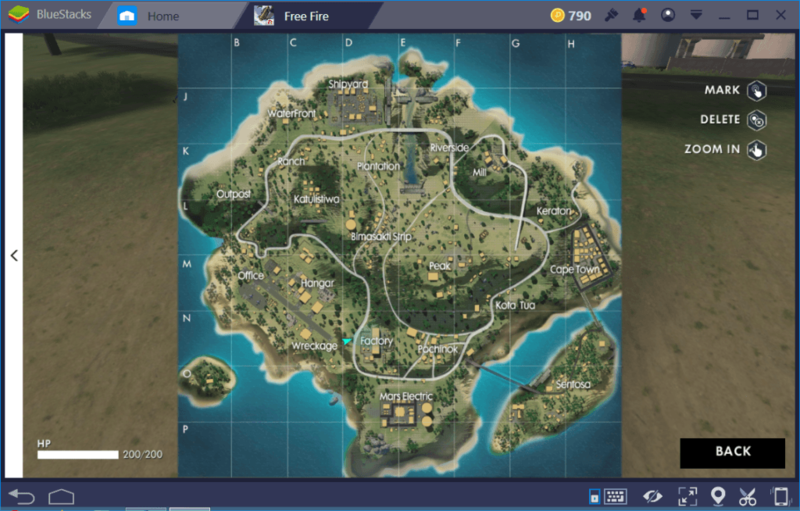 This is one of the most challenging topics for beginners: They do not know when to jump from the plane and which areas are the best for getting loot. 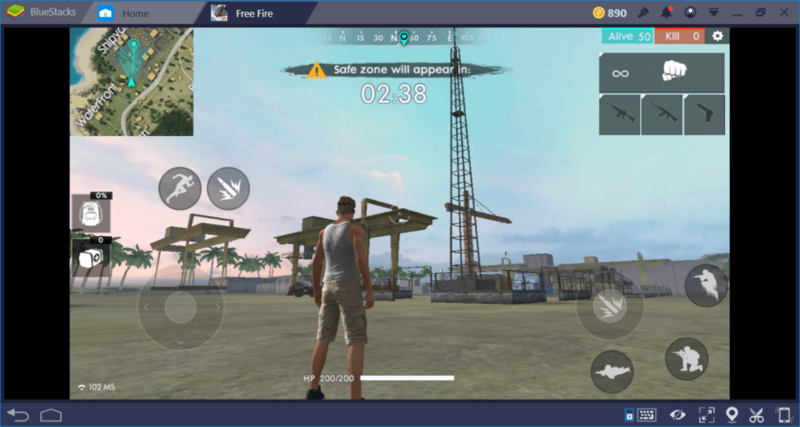 We have prepared this guide for giving just this advice – you can now start the game with an advantage and increase your chances of becoming the king of the island. The Free Fire Island is not that big and the flight path of the plane starts from either South or North. Depending on the path, soon after passing the “Mars Electric” or “Shipyard” zone, the “jump” button becomes active. So you can jump while you are passing the “Pochinok” or “Plantation” region at the earliest. Doing this will mostly make you land on the “Power Plant” area. More than half of the players usually land in here. For the same reason, the Power Plant region witnesses a brutal combat at the beginning of the game and usually 10 – 15 players die here in the first few minutes. Jump from the plane while you are over the “Mountain Pass” region. 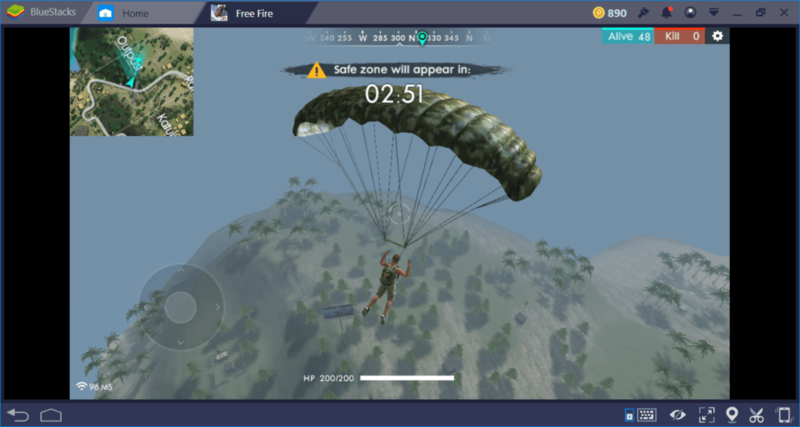 Open your parachute as soon as possible and glide to the east. Aim for Cape Town or Kota Tua. 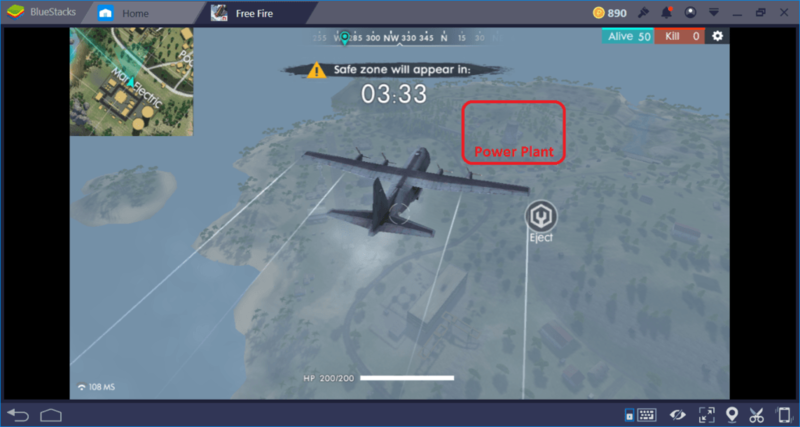 There is a “small” problem with this strategy: If you don’t open your parachute as soon as the option becomes available and start gliding to the east, you will still land near the Power Plant region and become a flying target for those who landed before you. We have talked about this in our 10 tactics to Become the Top Player article. If, for any reason, you are not able to glide to the east, forget the parachute and try to land as fast as possible. After you touch the ground, find a vehicle and start heading towards the Cape Town zone. Cape Town and Kota Tua: Cape Town may be the “quietest” region in terms of combat. Most players pass this area completely because it is far from the center of the playing field and landing here is not that easy. So you can collect loot here without being disturbed by anyone. The region consists of a couple buildings and assault rifles usually spawn in them. You can find Level 1 helmets and backpacks too. Kota Tua is also a quite region but very poor in terms of loot, it contains almost no buildings. If you land here, start sprinting to Cape Town, it is very close. No need to use a vehicle. Mill: The Mill region is on the highest peak in the island. The buildings in here are quite large but not many. Sniper rifles are usually located in buildings in this area. If you succeed in finding an 8x scope, you can take control of the “Peak” zone in particular. Peak is very close to the Power Plant zone and extremely crowded for the same reason. So you can shoot other players from a distance and with a smile on your face before they even get the chance to equip an armor. However, do not stay here for long: You will be easily spotted. 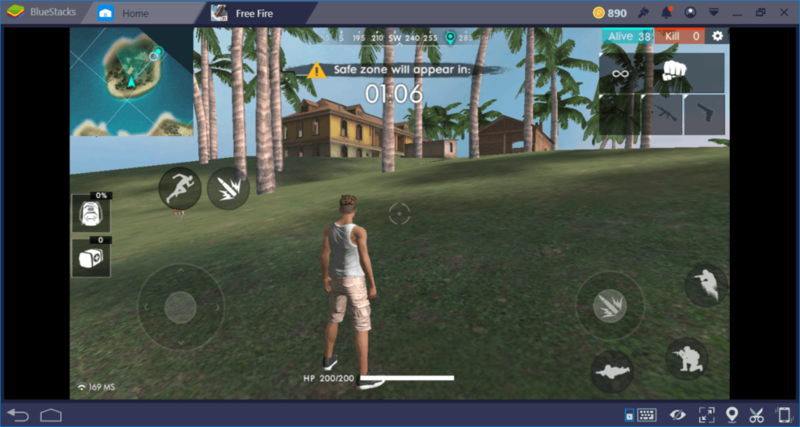 Relocate to another region (if possible, to Keraton) after you eliminate a couple players. Nameless Island: This is a very small island located in the South West of the main island. It does not have a name. But it contains 5 small buildings that are rich in terms of loot. Landing here is nearly impossible but you can reach the island by landing on the Hangar region and moving to the South. There are a couple of assault rifles, scopes, backpacks, and body armor in these buildings. You can create a perfect weapon and armor setup at the beginning of the game. 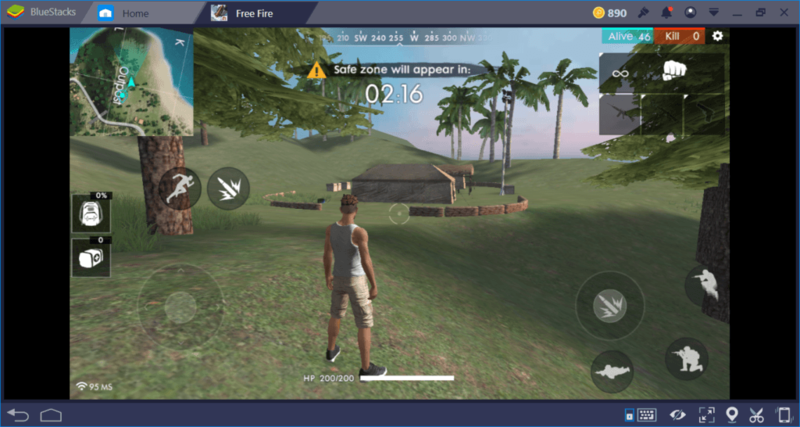 However, there is a catch: The nameless island almost always stays outside the safe zone. So you cannot stay here for long – use this area only for loot and get back to the main island. Power Plant: As can be guessed, this is the “hottest” area because of the player density. It contains good loot, especially in terms of sub-machine guns and assault rifles. However, it turns into a “bloodbath” in a couple minutes after the game starts. Because it is in the middle of the island, Power Plant zone almost always stays inside the Safe Zone. Stay away from here at the beginning, but remember that this will be your “hunting zone” during the end-game phase. Always stay inside the buildings in this zone and be very careful. Outpost: If you are into shotguns and heavy firepower, Outpost will look like a paradise. This is a military zone that contains the best armor and heavy guns. Problem is, it is almost as crowded as the Power Plant zone, since they are very near. It is located on a peak so most of the players prepare an ambush around this zone during the end-game. Shipyard: As the name suggests, this area is located next to the sea and contains four crane towers. Climbing one of these towers with a sniper rifle is a commonly used tactic. For the same reason, the area is usually crowded. Avoid doing this: You are pretty much defenseless at the top of the cranes and there is nowhere to run. The Mill zone is better for sniping. In terms of loot, Shipyard zone is not that rich too. Wherever you land, do not forget that your first priority is finding armor and weapons. Do not stay in a zone for a long time – your opponents will eventually find you. If you’ve set up an ambush, move to another area after killing a few players. 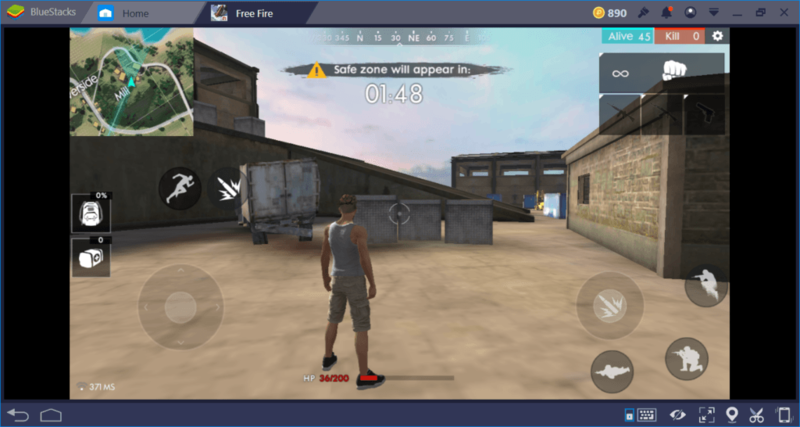 Everyone who stands still in Free Fire will eventually become a sitting target. 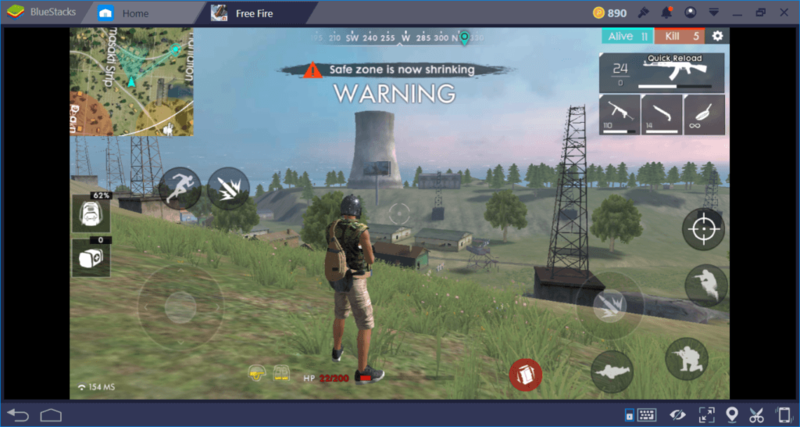 You can learn what weapons and armor you should focus on by reading the BlueStacks Free Fire Weapon Guide here.